The humble and often forgotten oat is one of the healthiest grains on earth. 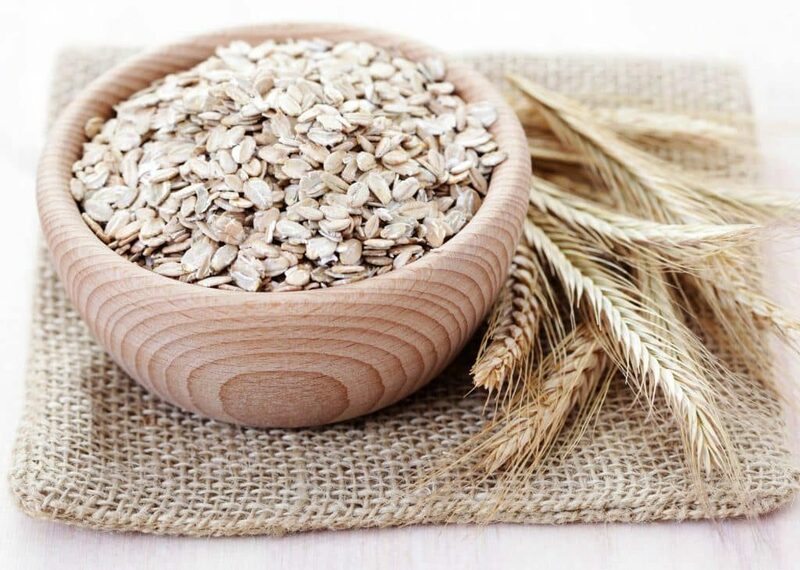 Gluten-free, whole grain and an excellent source of fiber, antioxidants and important vitamins and minerals, oats have a number of impressive health benefits and, best of all, are incredibly versatile and easy to use. That’s not just the usual porridge or overnight oats we’re talking about – you can use these healthy grains in a range of exciting and delicious recipes. They can be used in sweet and savory cooking, from cakes and cookies to curries and, dare we say it… haggis! This ancient natural cereal is gluten-free, whole grain, and full of fiber. Oats are packed full of powerful nutrients, including vitamins, minerals, protein, antioxidants, and beta-glucan, an important dietary fiber. 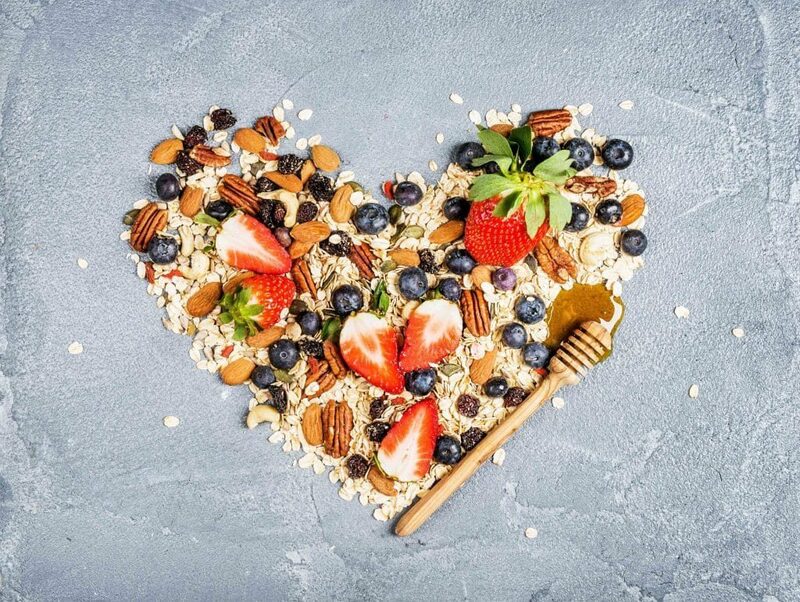 A group of antioxidants, known as avenanthramides, are only found in oats, and are believed to protect against heart disease. They have a number of other health benefits, including lowering blood sugar and cholesterol levels, and aiding weight loss. 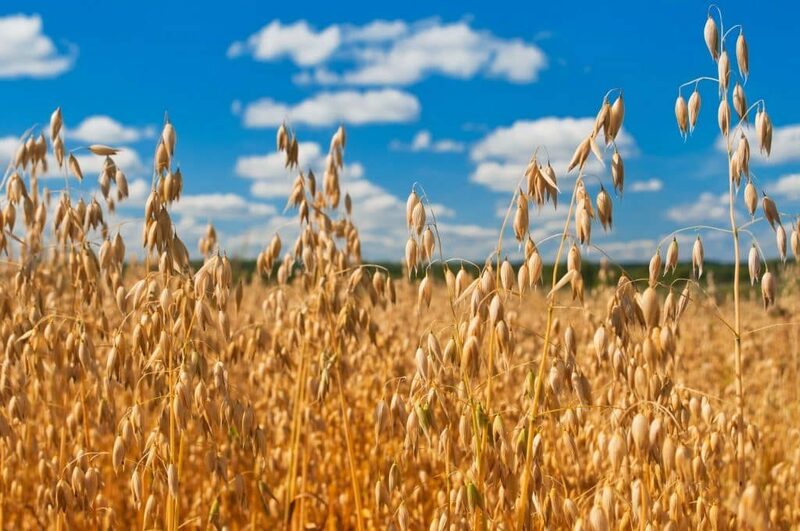 Whole oats are called oat groats, and are usually rolled or crushed before being consumed. They are mainly grown in North America and Europe, and have been a food staple in some ancient diets, including Scottish and Irish. Most of the fiber in oats is a soluble fiber called beta-glucan, which is an important immune-boosting nutrient. Beta-glucans lower cholesterol levels, potentially decreasing the risk of heart disease, and improve bile acids in the stomach. They may also reduce blood sugar and insulin levels after a carbohydrate-rich meal. Oats boast more soluble fiber than other grains, making them slower to digest, increasing satiety and suppressing appetite. The protein in oats is high quality, with 80% of it being the avenalin, which is not found in any other grain, and is similar to the protein in legumes. Protein is an incredibly important macronutrient that needs to be fed to the body every single day. It is the major structural component of cells, and is therefore a building block of bones, muscles, cartilage, skin, fascia and blood. It is responsible for building and repairing tissues in the body, and fills you up with few calories, so can actually aid fat loss. Avenanthramides are a group of antioxidants only found in oats, and are incredibly beneficial to human health. They increase the production of nitric oxide, which helps dilate blood vessels, leading to better blood flow, which may help lower blood pressure levels. 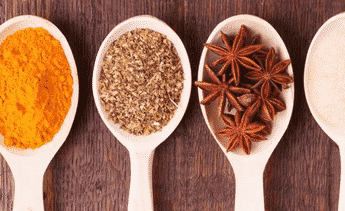 On top of that, these unique antioxidants have anti-inflammatory and anti-itching effects. One of the reasons oatmeal or porridge is a great breakfast option (as well as being tasty and nutritious! ), is the fact that it is very filling. Eating wholesome foods in the morning that fill you up and digests slowly helps you eat fewer calories throughout the day, ultimately aiding weight loss. This occurs because you are delaying your stomach from emptying food, prolonging your feeling full. 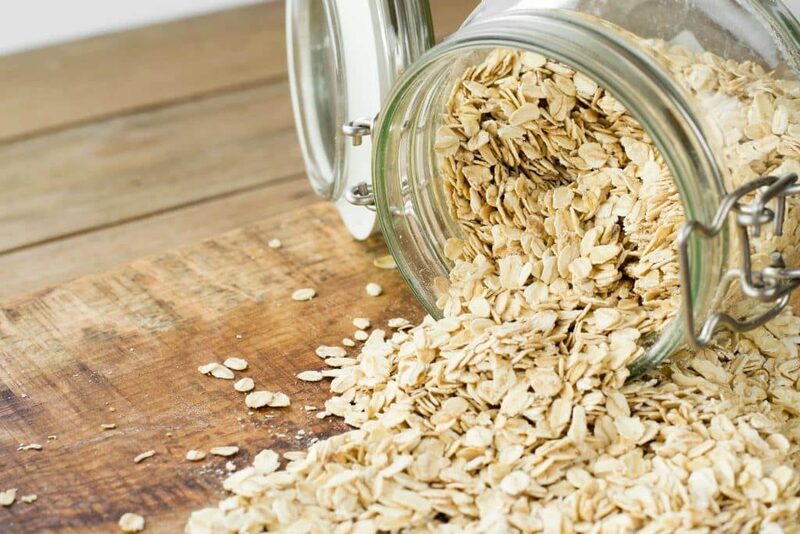 Not only that, but the beta-glucan (fiber) in oats may also increase the release of a hormone called peptide YY, which is produced in the gut in response to eating. This satiety hormone also plays a role in reduced calorie intake, potentially reducing your risk of obesity. The debate over carbohydrates has confused a lot of people, and in some cases, has led to dieters cutting out grain carbs altogether, which is detrimental to overall health and balance. 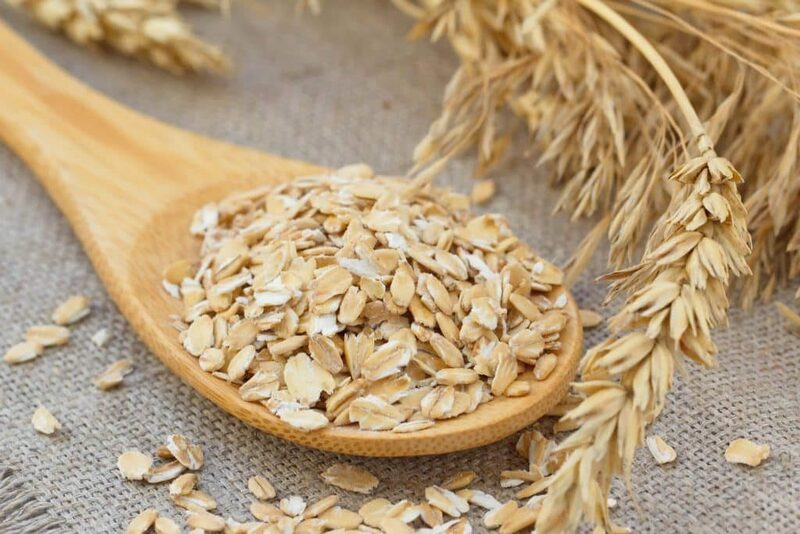 Oats are 66% carbohydrates, making them a high-carb food, but they are a healthy carbohydrate that fuels the body, and actually aids weight loss. While they are high in carbohydrates, oats are low in sugar, and the carbs are broken down into 11% fiber and 85% starch, including 7% rapidly digested starch, 22% slowly digested starch, and 25% resistant starch. Resistant starch functions like fiber, escaping digestion and improving gut health by feeding friendly bacteria. Slowly digested starch is broken down and absorbed slowly, as the name suggests. Rapidly digested starch is broken down quickly and absorbed as glucose. 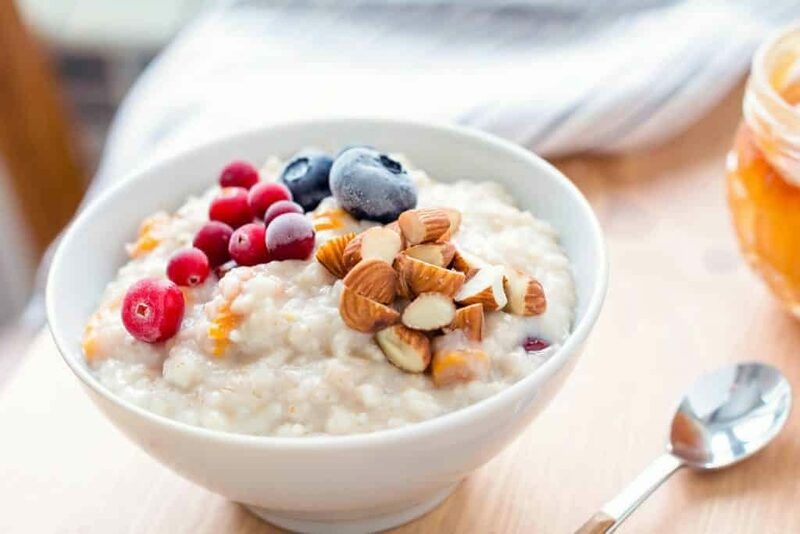 Oats are a type of natural low-sugar carbohydrate that people should not be afraid of, and they should be consumed as part of a healthy, balanced diet. 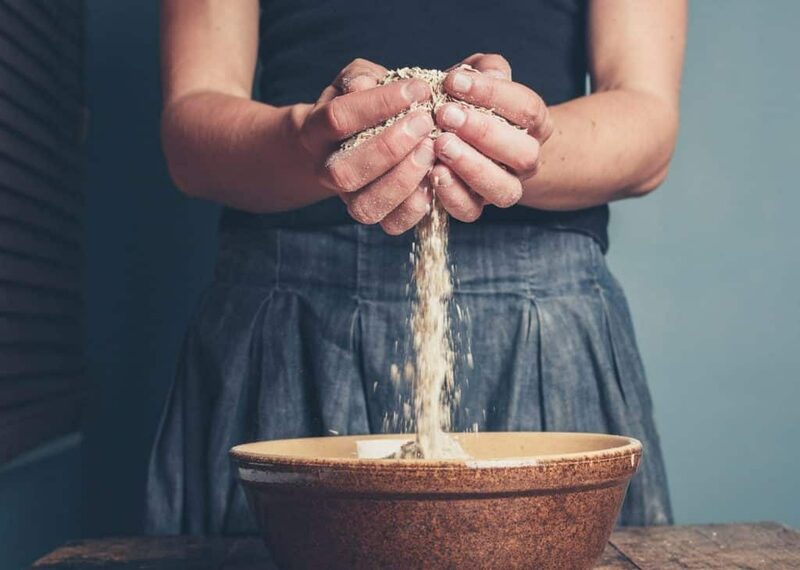 The first thing that springs to mind when talking about these ancient grains is usually porridge or overnight oats, but they are so much more than that! These versatile flakes can be used in sweet and savory cooking, in hundreds of different recipes, for breakfast, lunch, dinner and dessert! Vegetarian Haggis – So, you’ve heard of the Scottish favorite – haggis, but not sure what you think of the meaty side of it – sheep’s liver, heart and lungs minced up with oats and cooked in the animal’s stomach? Although traditional haggis is actually quite healthy, for vegetarians, or diners who find those ingredients a little squeamish, this meatless option is extremely healthy, and doesn’t include any animal organs! With oats, lentils, onion, celery, carrot, kidney beans, thyme, lemon, cashews and seasoning, it is a hearty meal packed full of essential nutrients that also tastes delicious! 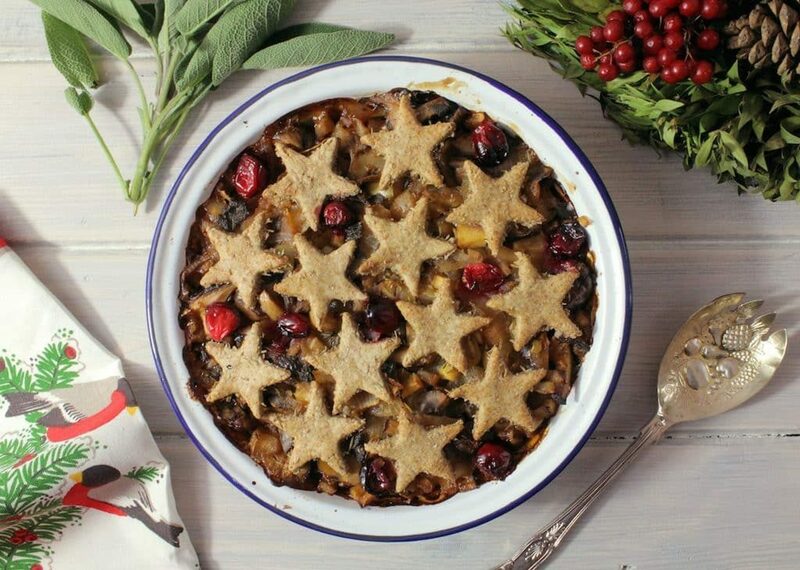 Haggis, Chestnut & Ale Pie – This hearty but healthy pie is delicious and vegan, and even if you are not vegan, it’s a good idea to cut down on meat and animal products throughout the week! With a list of incredibly powerful and nutritious ingredients, including lentils, buckwheat, onion, olive oil, carrots, mushrooms, chestnuts, rosemary, sage, cumin, cinnamon and, of course, oats, this filling and nourishing meal will leave you feeling fantastic! Curried Oatmeal – This should get your attention! If you’re bored with regular oatmeal in the mornings, or feel like a savory breakfast for a change, this delicious recipe idea has you covered! If you’re a fan of caramelized onions, then this will become one of your go-to recipes – it’s quick and easy to prepare, just like regular oatmeal, and calls for water, rolled oats, madras curry powder, salt and onions! 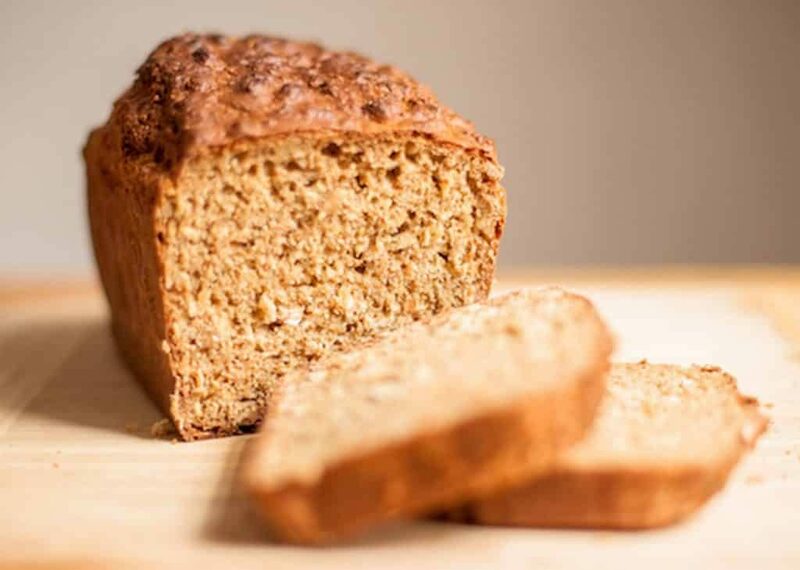 Brown Soda Bread – This easy-to-make healthy bread originates in Ireland, and is still a popular food across the Emerald Isle, enjoyed alongside soup, salad, fish or fry-ups! As far as bread goes, soda bread is actually a healthier option and an easier one to make than many others. And the ingredients are very cheap as well! All you need is whole wheat flour, all-purpose flour, rolled oats, honey, baking soda, baking powder, buttermilk, an egg and a pinch of salt. Old Fashioned Oat Banana Bread With Raspberry & Mint – Banana bread is an old favorite – often thought of as a healthy option, and enjoyed for breakfast. The reality is, however, most traditional banana bread is not the healthiest option. The bananas used are over-ripe, which means they lack the nutrients that you find in under-ripe bananas, most of the loaf is actually refined flour, which is a simple carbohydrate, and many recipes call for a lot of sugar. That means it can lead to sugar crashes and hunger cravings later in the day, and it’s a bit like eating cake for breakfast! This recipe, however, cuts out some of those unhealthy options, and uses oats and almond meal instead of simple carbs. That increases the fiber content, along with healthy fats, like almond butter, and natural sweeteners, including the bananas, raspberries and maple syrup, instead of refined sugar. 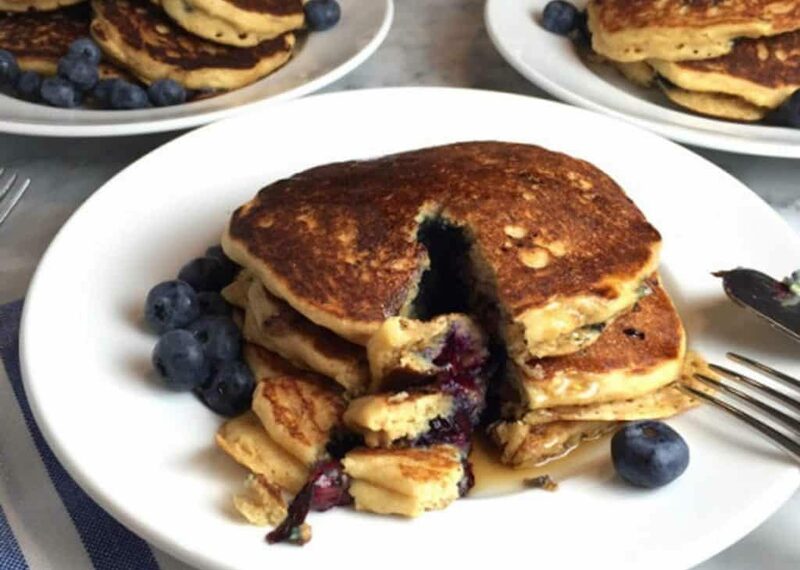 Oatmeal Blueberry Buttermilk Pancakes – This is another great breakfast or dessert option that is low-fat and tasty! 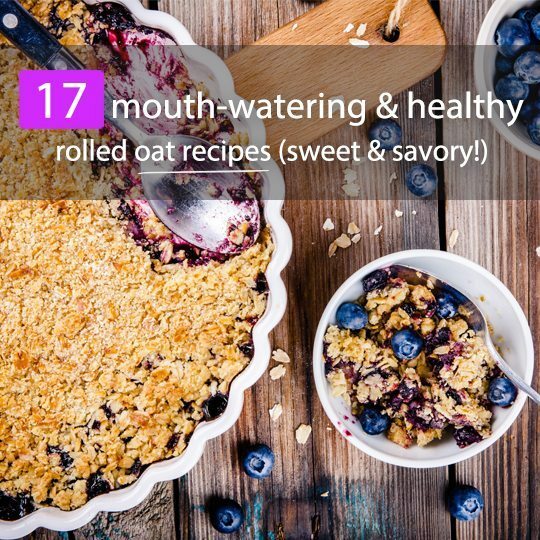 Along with low-fat ingredients, including buttermilk, the oats give it a good hit of fiber and substance to make it nice and filling. Berry Peach Chickpea Flour Breakfast Crisp – This may be called ‘breakfast’, but it is so tasty, it can be enjoyed for dessert! It’s basically a fruit crumble, but a lot healthier than the traditional type, which is usually made with refined flour, butter and sugar. This recipe calls for oats, chickpea flour, hemp seeds, coconut sugar, cinnamon, vegetable oil (I’d suggest coconut or olive), peaches and berries. The blogger gives the option to cook the fruits with sugar, but when making fruit crumble, I never do that – it’s definitely not needed. The tangy, sweet taste of the fruit goes beautifully with the sweet crumble! 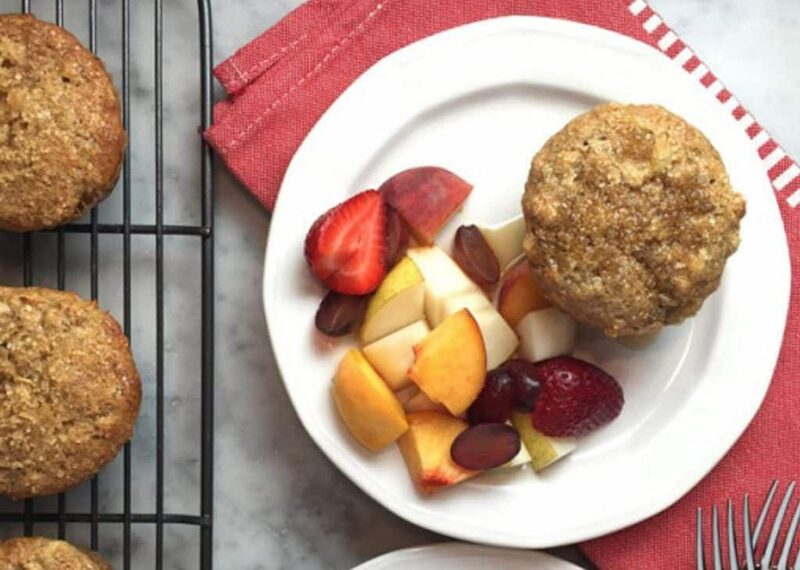 Banana Oat Muffins With Maple Syrup Drizzle – Whole wheat flour, all-purpose flour and rolled oats make this recipe base a far healthier, more filling option than traditional muffins, with just refined flour. Along with that dry base goes sugar (you can always substitute that with stevia or maple syrup), cinnamon, nutmeg, bananas, Greek yogurt, egg and baking powder and soda, and you have the recipe for a scrumptious, wholesome snack or dessert! Mango Coconut Oatmeal – This is a tasty, fruity, spicy twist on traditional oatmeal, with coconut milk instead of cow’s milk, along with cinnamon, ginger, nutmeg, mango, honey, vanilla and shredded coconut. Hearty, filling, warming and delicious! Sweet Potato Pizza Crust – Like oats, sweet potatoes are so versatile, and make fantastic bases for everything from pizza crusts and curries to brownies and cakes. This pizza crust is gluten-free, low carb, full of fiber and packed with nutrients! With just three ingredients – sweet potato, oats and one egg, this crust is so easy to whip up and enjoy with your favorite toppings. 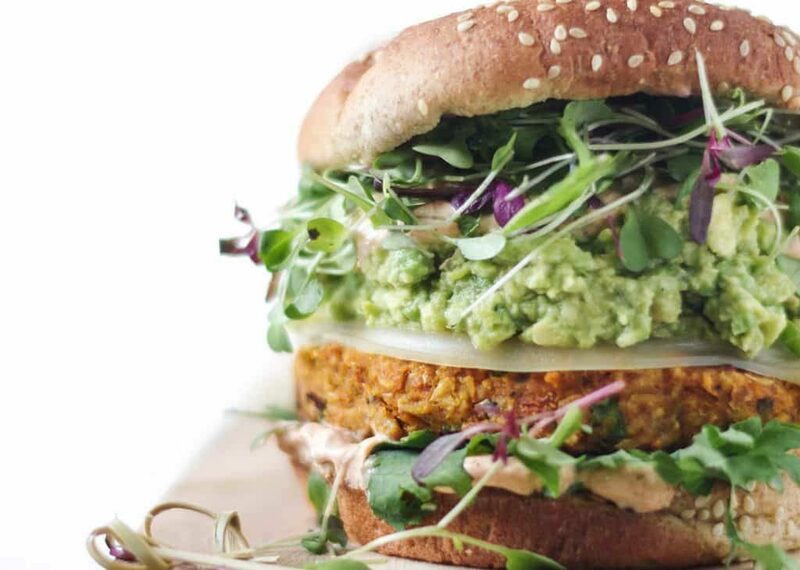 Chipotle Pumpkin Veggie Burgers – These take a little time but they are just sooooo worth it! The nutrient-dense ingredients all packed into one burger make it an incredibly healthy and powerful meal to enjoy for lunch or dinner. The recipe calls for cannellini beans, pumpkin puree, chipotle peppers, adobo sauce, onion, garlic, eggs, rolled oats, olive oil, avocado, lime, Greek yogurt, lemon, seasoning and mayonnaise, along with your choice of salad toppings like lettuce and tomato! Loaded Whole Wheat & Oat Zucchini Bread – This is another delicious healthy and filling loaf option, like the oat banana bread recipe further up in this post. Made with zucchini, whole wheat flour, rolled oats, cinnamon, cloves, buttermilk, eggs, honey, walnuts and apricots, it is packed full of important nutrients, including protein, fiber, vitamins, minerals and antioxidants. Plus, it’s filling and super tasty – a great option for a grab-and-go breakfast or snack! 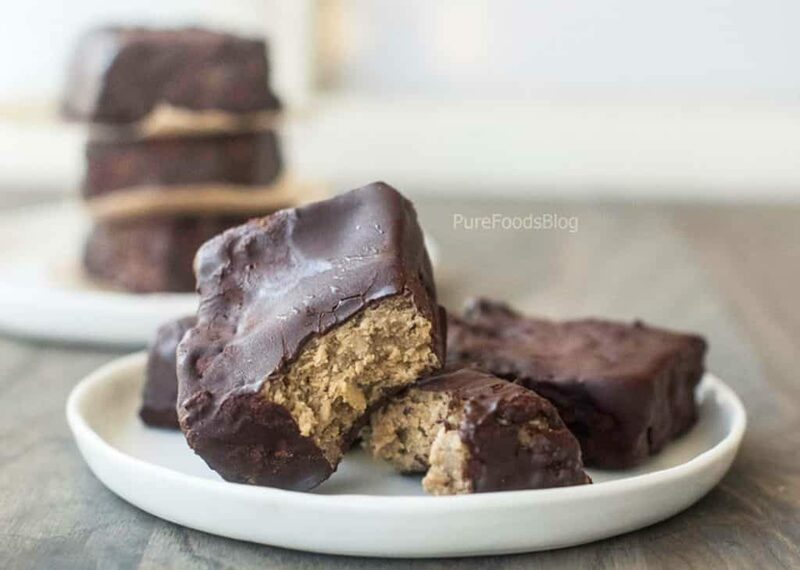 Chocolate Covered Vegan Vanilla Protein Bars – If you’re a fan of protein bars, or think you perhaps don’t get enough protein during the day, then these are for you! Especially if you’re unsure about the ingredients in store-bought protein bars (sometimes they have too much sugar, too many carbs, or some strange ingredients in them!). This recipe calls for rolled oats, almond milk, protein powder, pomegranate powder, cashew butter, water, and 100% cacao. Maple Pecan Spelt Muffins – These caramely-tasting muffins are great to have in your go-to list when you feel like something decadent but guilt-free, with a little bit of substance! The recipe calls for spelt flour, rolled oats, pecans, banana, nut oil, maple syrup, vanilla and egg, and preparation is nice and easy! 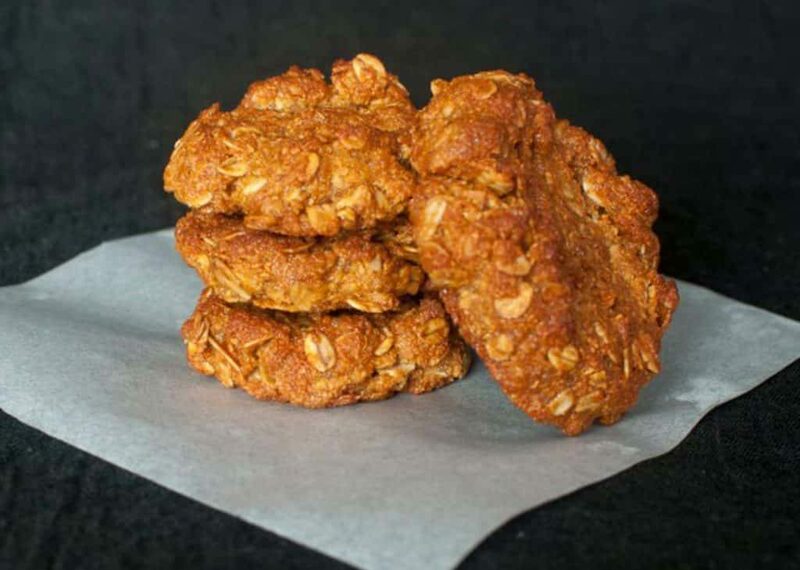 Aussie Anzac Biscuits – Anzacs are a classic Australian cookie, named after the Australia and New Zealand Army Corps. It is believed the biscuits were sent to soldiers during World War I by their wives, because the ingredients do not spoil and the cookies traveled well. This recipe is pretty close to the traditional one, and uses the same original ingredients, including rolled oats, coconut, flour, butter, golden syrup, raw sugar, bicarbonate soda and water. Pumpkin Chocolate Chip Oatmeal Cake – This moist, dense cake might taste just as tasty and indulgent as any other cake, but it is actually a far healthier, heartier option! The recipe includes whole wheat flour, rolled oats, cinnamon, ginger, cloves, coconut oil, pumpkin puree, vanilla, egg, baking soda, sugar and chocolate chips. 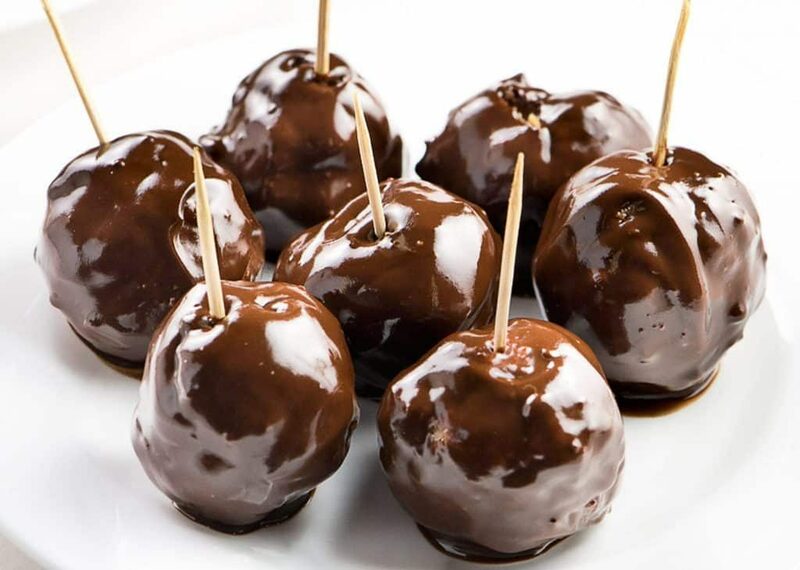 Chocolate-Covered Energy Balls – These cute little bites are made with delicious, nutritious ingredients and turned into pretty little balls of goodness! The recipe calls for shredded coconut, rolled oats, cantaloupe (rock melon), cashew nut butter, honey, vegan chocolate, cream and vegetable butter. I like basic natural foods and like light exercises and oats are a very basic food to consume dail. Iwas used to consume them because my mother used to use them . She was brought up in. An orphanagewith her baby brother her parents were dead at their very young age, but that is another story. Basic foods are healthier and I am interested in recipes that include them. Sorry about personal stories,but that’s how I explain my interest in basic foods.